DISTURBED has announced the first North American leg of the band's 2019 "Evolution" tour. Support on the trek, which will kick off on January 9 and hit 27 cities in the United States and Canada, will come from THREE DAYS GRACE. General public tickets go on sale October 26 at 10:00 a.m. local time. Citi cardmembers will be able to access presale tickets beginning Monday (October 22) at 10:00 a.m. local time through Citi's Private Pass program. 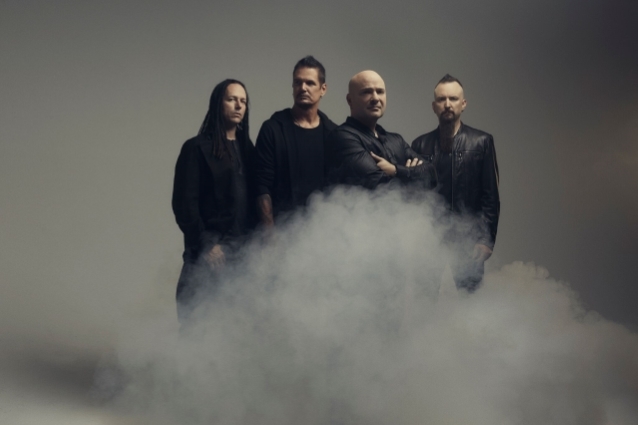 DISTURBED's seventh studio album, titled "Evolution", will arrive on October 19. The band recently shared the official music video for "Are You Ready", the first single from the LP. Guitarist Dan Donegan has told the South Carolina radio station 93.3 Planet Rocks that the bulk of the touring for "Evolution" will take place in 2019. "And the majority of next year will probably be all the territories that we usually hit throughout the U.S., Canada, Australia, New Zealand, Japan, Europe, Russia," he said. "We're gonna try to squeeze in as much as we can in all of 2019, and we'll see if it takes us into the following year or where we're at when next year ends." 2015's "Immortalized" ended a four-year hiatus for the quartet and was its fifth album to enter the Billboard 200 chart at No. 1. It featured the band's massive hit cover of SIMON & GARFUNKEL's "The Sound Of Silence". Donegan told The Pulse Of Radio that "Evolution" contains "some really killer stuff," with "nice new twist and new turns that we're taking, and some experimenting on it. 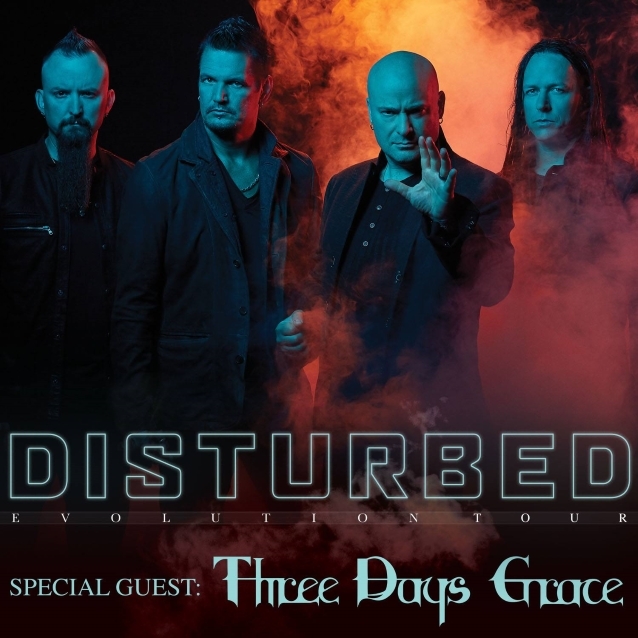 There's still always gonna be those things that are signature DISTURBED because of the way we play or the way David [Draiman] sings, there's gonna be an identity there, but there's definitely some things that we've took a departure on as well," he said.